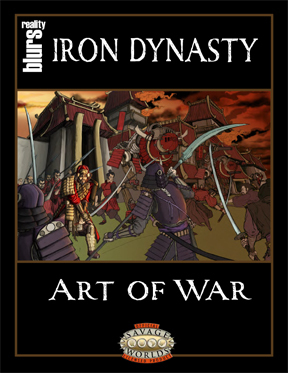 Art of War, the Iron Dynasty Showdown, is slated for a March 2009 release. We’re happy to give you a look at the direction we’re going with the cover. Iron Dynasty is an Oriental Steampunk Fantasy setting mixing elements of the Sengoku period of Japan with magic, myth, and a splash of steampunk. Art of War brings the battles of this tumultuous setting to the tabletop using Pinnacle’s Showdown miniatures rules set. Nine stylized factions to choose from, each with their own unique troop types, coupled with a fascinating blend of war machines and sorcery, guarantee fun for all. In parallel development with the upcoming Iron Dynasty RPG, this provides a first glimpse into Konoyo, the lands of the Iron Dynasty. 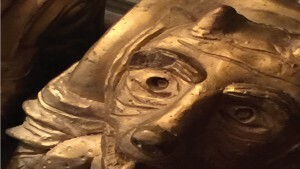 The picture of the war is somewhat appear so scary to me. It makes me realize that I am so lucky to have not existed during the war. Its just that I can tolerate just by the mere imagination of the pain and the scarcity of food..oh boy! I’m really gonna die..